As one of the world’s largest youth-serving NGOs, JA prepares young people for employment and entrepreneurship. Since 1991, JA Cayman Islands has been empowering young people to own their economic success. Wee are part of the world’s largest not-for-profit educational organisation offering in-school and after-school practical business programmes. 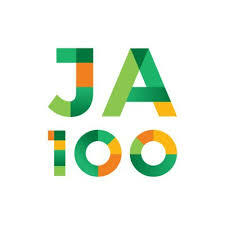 JA programmes inspire and prepare young people to succeed in a global economy through educational programmes focused on business, economics and free enterprise. Couple that with concepts taught on honesty, trust and integrity and the end result is a more proficient understanding of our world that enables these students to make their way into successful careers. Our programmes are offered free of charge to students and schools. These programmes teach students crucial lessons about work readiness, entrepreneurship, and financial literacy: we prepare young people to enter the workforce, train them to become the next generation of business leaders, and educate them about basic financial management and responsibility. Download the JA Worldwide Fact Sheet.